Basically, 'Troop Support' in Connecticut comes to us via two avenues. One avenue would be our various official, governmental agencies which provide troops and their families with various types of assistance, information, and services during times of stateside or overseas duty tours. The other very important avenue of support for our service people and their families in Connecticut comes to us through wonderful, dedicated people who establish programs, projects, and organizations which seek to meet service related needs. Below you will find links to three 'message boards' on this website. Clicking the link (title) will take you to that specific message board. You can also access the boards by using the side panel on this website to the left of this web page. One board (CT Agencies) will list official, governmental agencies for troop and troop family assistance. The other board (We Care) will list organizations, projects, and programs established throughout our state by private individuals who are attempting to actively support, encourage, and assist our troops and their families. The third board (Events - Troops Support) will give specific events taking place in our state for Troop support. The name of the organization, project, or program spoken of in each message will be listed in the message's 'subject line' so that you can find the message you are looking for more easily. PLEASE ADD TO THESE MESSAGE BOARDS!!! Thank you very much for helping to provide information to our troops and their families in Connecticut! The Blue Star Mothers of America, Inc. is a non-partisan, non-political organization. We do not support any political candidate nor do we endorse any religious organization. The military represents all aspects of America as does our organization. We are here to support our troops, our veterans, one another, and the cause of patriotism Please adhere to our purpose when posting to this site; do not use it for any personal platform. DO NOT post anything that does not comply with Operational Security measures! Also we must adhere to copyright laws when posting. Linking to our website does not represent an endorsement on the part of Connecticut Blue Star Mothers or Blue Star Mothers of America, Inc.
is owned by Connecticut Blue Star Mothers. The function of the Connecticut Military Department is to protect life and property and to preserve peace, order and public safety. The two principle components of the Military Department are the National Guard and the Office of Emergency Management. Attorney General Richard Blumenthal marked Veterans Day by announcing his office is launching a Veterans Advocacy Unit to assist veterans and active duty military personnel with benefit, legal and other issues. Starting tomorrow, veterans and active duty men and women with legal, benefit, consumer protection, employment or other questions or problems can call Blumenthal's office and speak with a lawyer who will seek to assist them. "My office will fight for those who fought for us," Blumenthal said. "Today, as we honor the brave military men and women who selflessly serve and sacrifice for us, we should resolve to serve them. Veterans and active duty personnel needing help with benefits, service-related legal, consumer protection or employment issues can call my office for assistance. "We owe every veteran and every man and woman now serving all benefits and rights without hitch or hindrance. As our servicemen and women return home from Iraq and Afghanistan, the need for these services is great and growing. I will fight for veterans and active duty military -- to assure access, cut red tape and break down bureaucratic obstacles." The Connecticut National Guard Foundation, Inc.
A private, nonprofit, organization who's purpose it is to provide temporary financial assistance for Connecticut National Guard and Organized Militia members and their families. Give 2 The Troops is a nonpartisan, non-political, patriotic organization started by Connecticut's own, Andi Grant. They strive to serve and support United States troops as they serve throughout the world. Give2TheTroops is a nonprofit 501c3 organization which offers people may ways in which to give so that the troops may benefit. The website is www.americarising.org if you want to check it out and to see where other rallies are being held on that day also. There are about 30 states right now. Operation America Rising is a not for profit organization whose sole mission is to support our troops. When you become a sponsor of Operation America Rising (OAR) you are not only getting your company out there on a national level, you will be a part of the largest non-partisan support the troops rally in history. This will be an annual event and is being held on July 7th this year. Your contributions will help finance the rallies in your home state and proceeds are donated to wonderful organizations such as Operation Gratitude and Wounded Warriors Project. As a sponsor of Operation America Rising you are showing America that you stand behind our troops and the organizations that support them. On that bright July day, our troops will see a gleaming observance of America's patriotism. Be a part of history and join Operation America Rising today! Thank you for your support!! All state sponsors under $100.00 will receive recognition on our list of contributors page. The white package is offered with a donation of $100.00 or more and you will receive a white banner with your companies name on your state leader's web page. The red package is offered with a donation of $300.00 or more and you will receive the red banner on your state leader’s web page with your company’s name and address and honorable mention at the rally in your state. The blue package is offered with a donation of $500.00 or more you will receive the blue banner on your state leader’s web page with your company’s name, address, phone number and web address and special recognition at the rally in your state. Make check payable to: Operation America Rising. Contributions can also be made via paypal on our national website www.americarising.org. Approximately 2 million men and women serve in the Armed Forces. Do you know someone in the military you want to acknowledge? Would you like to send a taste of home to a loved one or family friend? Send their APO or FPO, hospital or other “convalescing” address and a small note to the address below and a shipment of homemade goodies will be sent to them. The Cookie Brigade originated in Wisconsin in 2004 by Susan Hager and Yolanda Segovia to send homemade cookies to family members that were deployed. They were told that many service members do not receive homemade goodies so they decided to create the Cookie Brigade. Once a month cookies are made by community members, packaged and shipped via the U.S. Postal Service. CT Cookie Brigade pays all mailing costs. 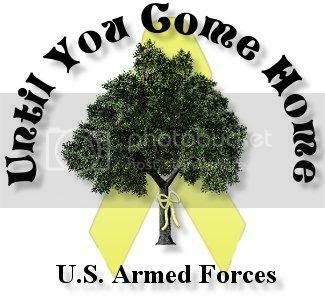 As a Mom of an Army Airborne Soldier I have been searching for a way to support my son and his unit overseas. To send the troops homemade goodies is sure to put smiles on many faces. I have had many community members ask what they can do to help I’m hoping our community can show support to our service members, CT is the first to become a branch of Cookie Brigade it hopes to have a branch in every state soon. Bake home-made goodies (cookies, bars, etc) please call for specifics!! Donations for shipping costs are welcome!! Forward our information to families and friends of soldiers or veterans so they can send us their mailing information and we can send them goodies. Please come in uniform. Please bring pictures of your troop/veteran loved ones to display throughout the sanctuary. We will be having a special service to honor those who serve our country, past and present! If you have something you would like to share during the service, please call Pastor Lin at 860-379-1298. If you are participating with VFW Winsted Post 296, please call Pastor David at 860-379-1298. Refreshments and Presentations to follow worship service in our Fellowship Hall downstairs. Perhaps you have a display or a project you would like to present? PLEASE INVITE ANYONE THAT YOU THINK WOULD LIKE TO ATTEND!!!! PLEASE PARTICIPATE TO HONOR OUR TROOPS AND VETERANS!!! MYSTIC, CT – Mystic Aquarium & Institute for Exploration is set to hold a very special Veteran’s Day weekend celebration on Saturday, November 10th. Bank of America is the presenting sponsor of the event. Connecticut State Senator Andrew Maynard, who represents the 18th Senate District, will introduce the documentary film at 1:30 p.m.
All veterans, active military and an accompanying adult will receive a very special $12.00 discount admission ticket to Mystic Aquarium. Children of veterans and active military (ages 3-17) will also be admitted to the Aquarium at the discounted price of $10.00. Active and retired military are asked to bring their military ID to receive the discount prices. We also encourage active military to visit in uniform. Spouses with a husband or wife currently serving away from home will also be admitted at the special adult rate as will their children. They should identify that a spouse is currently on active duty when they purchase their tickets. The Emmy Award winning 48 minute film on the return of five New England D-Day veterans to Normandy, France in 2006 will be shown in the Marine Theatre beginning at 1:30 p.m. The documentary film, D-Day: The Price of Freedom is an emotional look at American World War II veterans and how they are still held in such high regard in Normandy. The film aired nationally this past summer on over 125 PBS stations. A percentage of all tickets sold on November 10th will go towards the completion of the beautiful new World War II Memorial in Providence, Rhode Island. Mystic Aquarium & Institute for Exploration is a division of Sea Research Foundation, Inc., a nonprofit institution. The Foundation’s mission is to inspire people everywhere to care about and protect our oceans by exploring and sharing their biological, ecological, and cultural treasures.